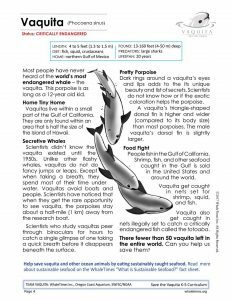 Sneak Peak at Save the Vaquita Curriculum | WhaleTimes, Inc. 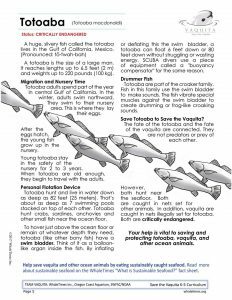 This entry was posted in Vaquita and tagged Celebration of Conservation, Save the Vaquita, Vaquita, Year of the Vaquita. Bookmark the permalink.